This post is dedicated to my Hong Kong readers. 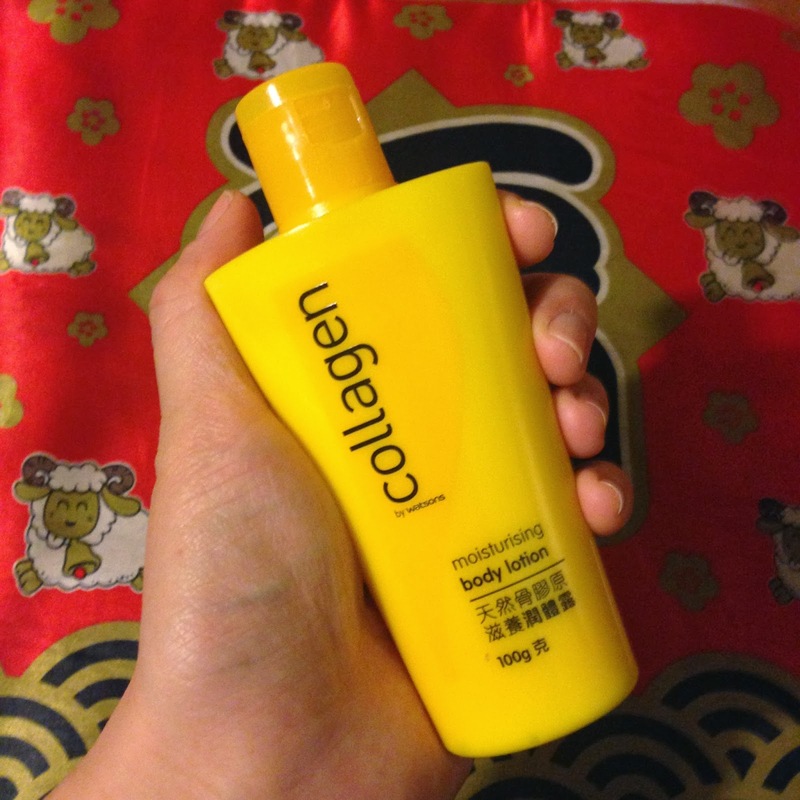 My skin was so dry and itchy since I arrived Hong Kong, so I was desperately looking for a body lotion. My criteria were: small bottle (as I only stay for just under 3 weeks), not too expensive and a brand that was not available in the UK. It was not easy as most body lotions were huge in size. Until one evening I had an after dinner stroll with my best friend Kit, she asked "do you know Watsons (similar to Boots) have their own brand products too?" We took a look and I saw this little bottle of body lotion. The price was so reasonable, only HKD$12.90 (£1). All I wanted was a standard lotion so I didn't think twice and bought it straight away. And OMG! I didn't expect it was so good!! 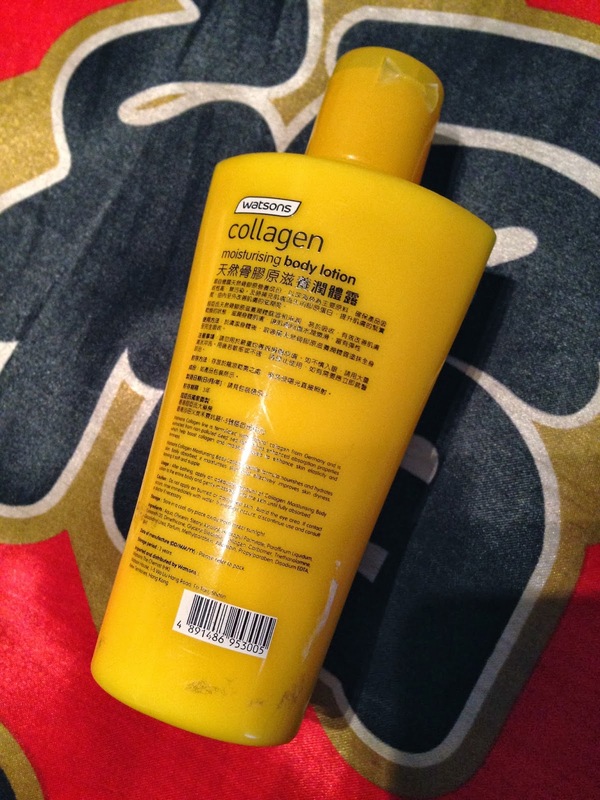 Watsons Collagen Moisturising Body Lotion is "formulated with natural collagen... extracted from non-polluted deep sea fish" I didn't buy it because of its collagen ingredient, but the result was so good that it probably did contain collagen! 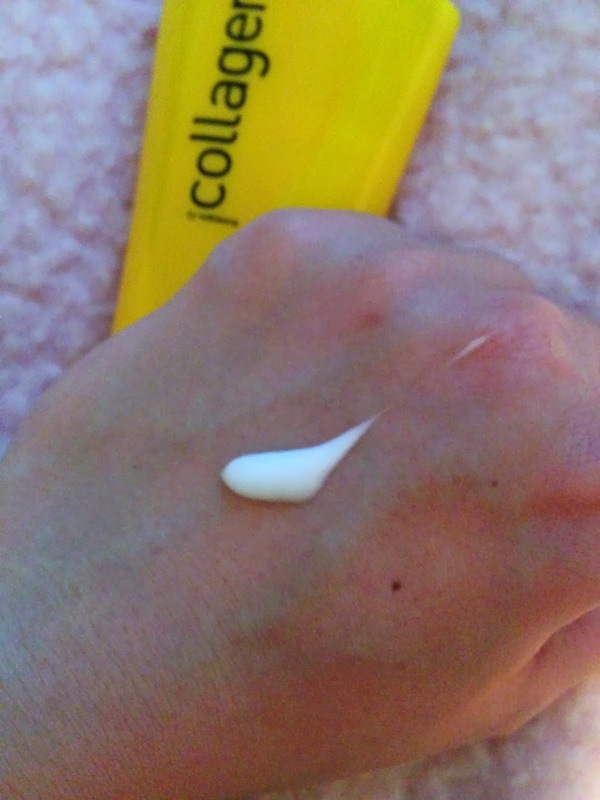 The texture is in-between a lotion and a cream - a touch thicker than a lotion, but thinner than a cream. The scent is light, it reminds me of Johnson's Baby Powder. As the price is so cheap, I use it very generously on my body every day after shower. It is not greasy and it absorbs easily by my skin. The result is unexpectedly amazing!!! 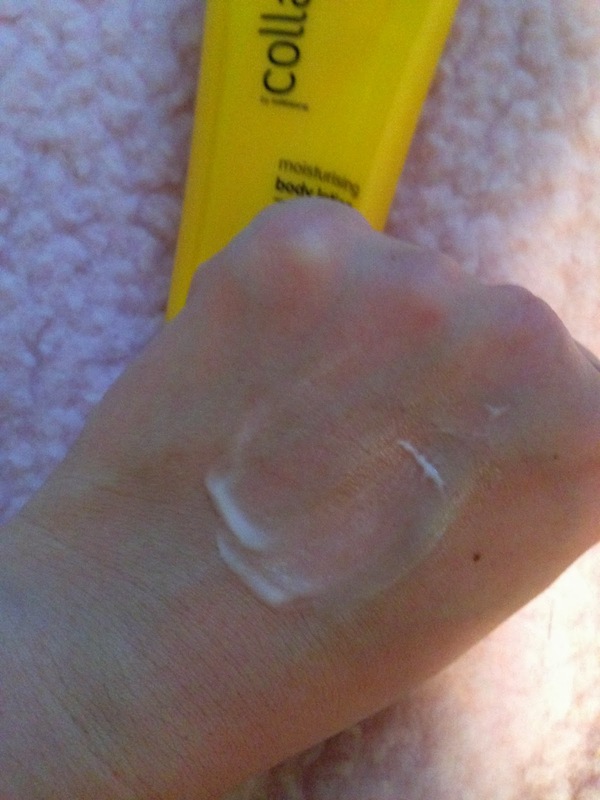 After one use, it already solved the itchiness and my skin felt instantly moisturised. I keep using it religiously everyday for a week, my skin now feels silky smooth! We easily get attracted by famous and fancy brands because of their adverts and marketing campaign, we shouldn't neglect the cheaper brands too! Less fancy packaging can be a great product too!